Abita Lumber is St. Tammany’s Largest Stocking Dealer of Authentic Big Green Egg Grills and Eggcessories! Why Buy Big Green from Abita Lumber? Abita Lumber is St. Tammany’s first Platinum Level Big Green Egg Dealer. 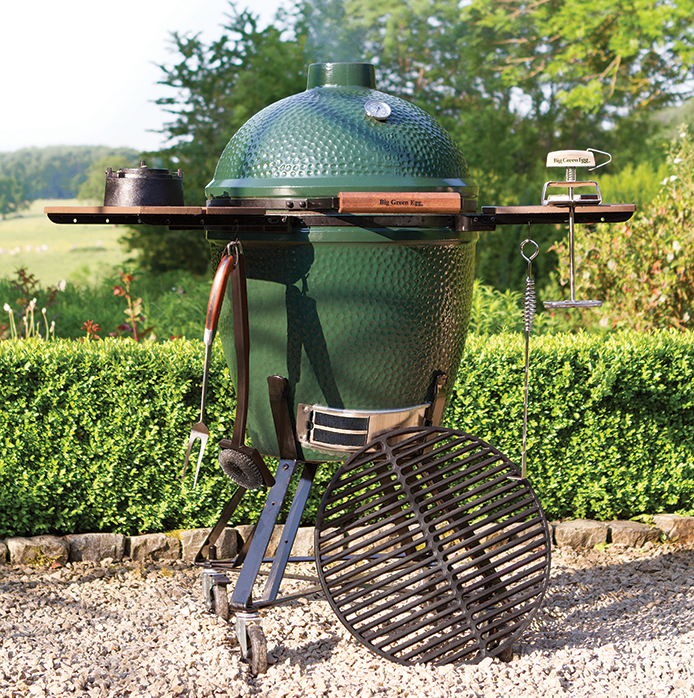 We stock all sizes of Big Green Eggs Grills, which includes seven different sizes and hundreds of accessories. We also stock table options in addition to grilling accessories. With high-quality ceramic and easily adjustable cooking temperatures, Big Green Egg grills are state-of-the-art when it comes to charcoal grilling. It’s a grill, oven, and smoker in one! We often do product demonstrations with grilling tips for everyone. Big Green Egg has plenty of recipes for the perfect pork chop, ribs, or chicken on the grill. In fact, Big Green Egg has their own seasonings, sauces, and cookbooks! Accessories such as grilling tools, racks and grids, charcoal, and even egg covers can be found at Abita Lumber. 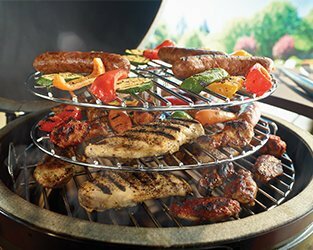 There’s so many reasons to love Big Green Egg grills! The ceramic surface of the Big Green Egg doesn’t get as hot as a traditional metal grill, making it safer to use. It’s green exterior glaze will last a lifetime and it wipes clean without having to use any heavy chemical cleaners. Your Big Green Egg is sure to withstand any extreme conditions ! Delivery and setup of Big Green Eggs Grill is available at Abita Lumber, so stop in the store and check out our full line of Big Green Egg grills and eggcessories! To learn more about Big Green Egg, see which egg is right for you, explore more eggcessories and Big Green Egg recipes, visit biggreenegg.com or visit Abita Lumber in Abita Springs, Louisiana. Abita Lumber is proud to serve St. Tammary Parish, Louisiana and the surrounding areas of Covington, Folsom, Waldheim, Bush, Hickory, Pearl River, Slidell, Big Branch, Mandeville, Madisonville, Goodbee, Robert, Ponchatoula and Hammond. For any questions, please contact us at 985-892-6530.